Isla is now over 4 months old and is very thoroughly photographed and filmed. I've had to clear the memory on my phone so many times to make way for more memories and I want to make sure I never forget a moment. I was recently contacted by Landmark Moments to review this wonderful pack of milestone cards. I've seen similar products being used by other mums on my Facebook and Instagram feeds and wish I'd had something like this when Isla was first born! The idea is the card has some milestone or landmark on and this will make it easier for you to take a photo of a special memory with a cute picture card addition and a date that you can add. Not only do they make a lovely photo accessory, they've made me pay so much more attention so I can make sure I catch the moment on the cards. We were a week late on this one but you can see how great they look! Even though Isla has missed the opportunity with the younger baby cards, there are still so many more for the next year that we can use and the pack comes with a blank selection for you to record your own special moments that aren't included and I can't wait for her to hit her next milestone so I can use them more! The cards themselves are really well made- they have curved corners and the card is a good strong material so if your little one is as dribbly as mine they won't get chewed to bits during a photo opportunity! 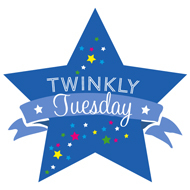 So- how exciting- I've been given the opportunity to host my first competition & giveaway! 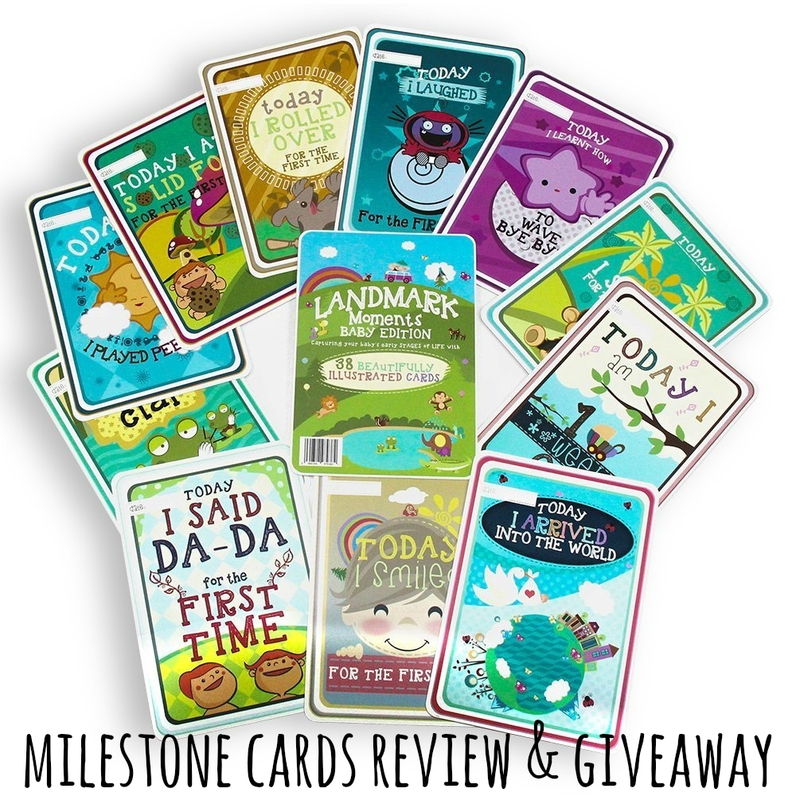 You have the chance to win your own full pack of 38 beautiful milestone cards. Even if your little ones are grown up they make a great gift for someone who is expecting or just had a new baby! Complete the entries below for a chance of winning and good luck! The winner will be provided with one 100% discount code to claim their pack from the Landmark Moment's amazon store via email, with instructions on how to do so. Please ensure you enter the correct email when entering. 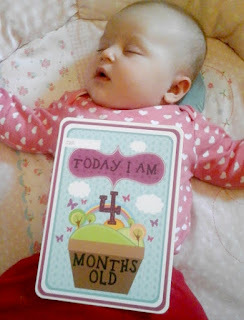 Note: I was sent one pack of milestone cards for the purpose of this review; all thoughts and opinions are my own! I also received one 100% discount code for the giveaway winner to claim their own pack of cards. I love these cards. I use reward stickers and certificates for milestones and achievements. These would enhance this.